Face East, but for elderly people, face North. You should remove any jewelry which connects the tongue to the roof of the mouth. You should leave it on that place throughout the whole exercise. 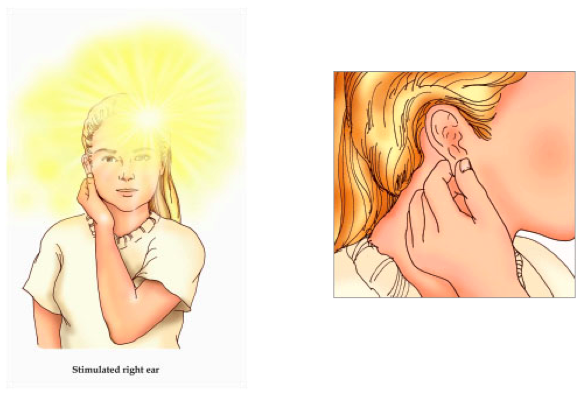 Now, take the left hand, then cross the upper body in order to hold the right earlobe with your thumb and forefinger. But, your thumb should be in the front. Now, you have to take the right hand across the upper body in order to hold the left earlobe (the thumb should be in front). With this you are pressing your two earlobes at the same time. Superbrain-Yoga-2Your left arm should be close to your chest and also inside the right arm. Then, inhale through the nose and squat down to the ground slowly. Hold the breath and then exhale while going back to the previous position. Repeat this exercise 14 times. Don’t forget to keep holding the earlobes and also to keep the tongue touching the roof of the mouth. If you found this information useful please feel free to share by clicking one of the share button below.